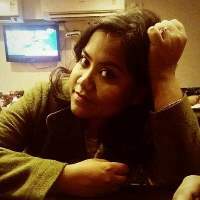 Mithu, as she is fondly called by friends and family, was taken to a cricket coaching camp by her father at the age of 10. She was a late riser and her father wanted to change this habit. She had no interest in cricket. Instead, she wanted to become a dancer. Cut to the 2017 Women’s World Cup; the Captain of the Indian cricket team was seen reading a book while waiting for her turn to bat. Later, she scored 71 off 73 to win the match against England by 35 runs. How a classical dancer with no interest in cricket became one of the most successful cricketers of all time is nothing less than a fairytale. Mithali Raj, India’s ODI captain, has been instrumental in popularising women’s cricket in India. The maker and breaker of several records once again wrote history on February 1, 2019. She walked in and became the only woman cricketer in the history of the game to appear in 200 ODI matches. Charlotte Edwards is second in the list with 191 appearances. When India hosted the Women’s World Cup in 1997, Mithali was one of the probable names despite being just 14 at the time. The Indian team did not play a single international match for over a year after that. Mithali debuted in India’s very first match since the 1997 World Cup. She became the youngest female centurion in women’s ODIs at the age of 16 years and 250 days when she scored 114 runs against Ireland. She also became the fourth female player to score a ton on debut; she was preceded by Enid Bakewell (134), Lynne Thomas (101) and Reshma Gandhi (101), the last scoring her debut century in the same match and reaching triple digits before Mithali. The partnership of 258 between Raj and Gandhi was the highest ODI partnership by Indian women cricketers at that point of time. She missed the 2002 World Cup due to illness, but she made up for it in the next one in 2005. She led the team from the front and the Indian women’s cricket team reached their first World Cup final. During the semi-final against New Zealand, Mithali walked in to bat when India were struggling on a tough pitch after losing two quick wickets. The 22-year-old showed her true temperament and class. An unbeaten 91* off 104 balls took India to the final. This was the highest individual score by an Indian in a Women’s Cricket World Cup till Harmanpreet Kaur made 107 off 109 balls against England in the 2013 World Cup. In the 2008 Asia Cup match against Pakistan, captain Mithali won the toss and elected to bat first. India set a mammoth target of 283/3 in 50 overs. Jaya Sharma scored 74 and the skipper remained unbeaten on 62. It was already a tough job for Pakistan women and Indian bowlers made it almost impossible. Pakistan were all out for just 76 runs and India won the match by 207 runs, their biggest victory by runs at that point of time. Two days later she led India to their fourth Asia Cup victory and reached the 3,000-run landmark on the way. Mithali’s highest ODI score of 125 came last year against Sri Lanka, albeit in a losing cause as a brilliant century by Chamari Atapattu helped Sri Lanka to clinch the win in the 50th over of the chase. Another important century by Raj came during the 2017 ICC Women’s World Cup against New Zealand. She led by example against a bowling attack that included Leigh Kasperek, Lea Tahuhu and young sensation Amelia Kerr, and guided India to 265 and into the final with a majestic 109 of her own. Her twenty-year-long career is the greatest of any Indian woman cricketer. Her consistency makes her an icon in the history of the game. She played 74 consecutive innings between 2000 and 2007 without scoring a duck, breaking the record of Australia’s Karen Rolton. 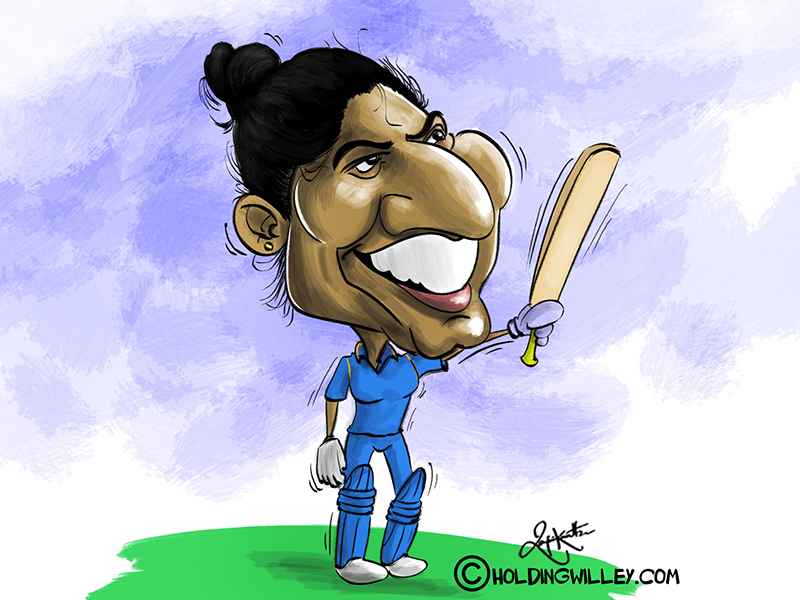 Mithali played 109 consecutive matches between 2004 and 2013 -- the longest span for any player in women's ODIs. She has batted at every position from 1 to 9, which shows her flexibility. The run of seven consecutive 50s she reached during the 2017 World Cup was a first by any woman cricketer. In successful run chases, Mithali’s average of 111.29 is the highest across men and women in ODI cricket. She is well ahead of Mahendra Singh Dhoni (103. 07) and Virat Kohli (96.23) in this aspect. Mithali led India to victory in 48-run chases while remaining unbeaten on 31 occasions. She scored 1,892 runs in successful chases with one century and 15 half-centuries. Mithali Raj became the captain of the Indian cricket team in 2004. She was India’s youngest ODI captain at 21 years and 94 days, but her age was never an obstacle and didn’t stop her reaching new heights as a skipper. The team did well and she never stopped contributing as a batter. Mithali was the ODI captain for the best part of the last 15 years. In 122 matches, she scored 4,127 runs at an average of 56.53 with five centuries and 35 half centuries. As captain, she led India to 75 wins; her batting average in those matches is a phenomenal 82. This clearly reveals how captaincy has worked to get the best out of her. Under her, India reached World Cup final twice in 2005 and 2017, and they won three Asia Cups. Currently, the 36-year-old sensation is the leading scorer in Women’s ODI cricket, followed by Charlotte Edwards (5,992) and Belinda Clarke (4,844). She has made 6,622 runs with seven centuries and 52 fifties from 200 ODIs. She is more than 2,000 runs ahead of Sarah Taylor, her closest active contemporary. Mithali Raj is not just a legend in the 50-overs format of the game. She has proved her worth in every format. At present, she is the sixth highest run scorer in Twenty20s with 2,283 runs. In only 10 Test appearances, she has proved her class again and again. Her highest test score is 214 and her average is 51. It’s unfortunate that such an elegant cricketer didn’t get more opportunities to showcase her caliber in the longest format. But it is not just the numbers that make Mithali Raj a legend. It is a lot more than statistics on the 22 yards. Mithali Raj and Jhulan Goswami are two cricketers from the previous era who have seen the transformation of women’s cricket in India – from nearly nothing to something. Mithali Raj is a name that inspires a lot of young girls to think of cricket as a career, which was a distant dream just a few years ago. Even at this age, when speculations of her retirement often make headlines, Mithali is busy creating new records and winning matches for India. Some say she is the Sachin Tendulkar of Indian women’s cricket. But just let her be the Mithali Raj who, despite not dreaming about cricket as a girl, has given wings to the cricket dreams of thousands of girls.